Inverness born and University educated he was employed by the BBC as a television producer, working on its news broadcasts and election coverage between 1987 and 1999. He entered the Scottish Parliament in 1999, as the Labour MSP for Eastwood and retained his seat in 2003, 2007 and 2011. But failed in his bid for re-election in the 2016 Scottish election. Ever lucky Ken was returned to Holyrood on the regional list. In his 19 year career in Holyrood he maintained a low profile preferring job retention and advancement over confrontation. Indeed he was so anonymous that his party leader couldn’t remember his name at the time he stood for leadership of the Scottish Labour Party. Macintosh was elected Presiding Officer at Holyrood in 2016 and suspended his Labour membership upon taking office, per the tradition that the Presiding Officer is strictly nonpartisan. A condition of office which he blatantly ignores. McIntosh is a politician and unfortunately he is politicizing antisemitism for his own benefit – he obviously thinks there are votes in playing this issue from within the Jewish community and this reflects very badly on him. There is absolutely no substance to this outrageous personal attack on the First Minister who has shown during his time in office an admirable commitment to understanding issues within this community and listening to concerns. He has addressed open meetings of the Jewish community not once but twice and took questions on any subject from any member of the audience. He has visited community organizations and one of his Ministers, Fergus Ewing, spent an entire evening with the youth of our community listening to a programme on racism, antisemitism and prejudice. If McIntosh was encouraged to take this stance by any party or organization within the Jewish community he has acted with utter stupidity. If he thought accusing the elected head of the Scottish Government of downplaying antisemitism would benefit the Jewish community he is astonishingly ignorant of grass roots opinion within our community. He should be ashamed of his conduct and he will not get my vote. McIntosh accusing Alex Salmond of downplaying antisemitism reflects dreadfully on the Labour Party and McIntosh himself. My bet is that he thinks that the Jewish community will thank him and that it will win him votes. Antisemitism thankfully is not a major problem in Scotland. The First Minister has never said that it doesn’t exist and when I sat in the audience I heard him say we need to be vigilant. McIntosh is a 3rd rate politician who is badly misguided. Mcintosh has let this community down. There can be no excuse for his behaviour. It is reprehensible to abuse his position as an MSP for his own political benefit and potentially cause alarm and insecurity within the Jewish community. Salmond’s behaviour towards our community has been absolutely first class. Mcintosh has lost my vote. Mcintosh has been taking lessons from his colleague Jim Murphy. Murphy ended up in opposition and backed the wrong brother Miliband to become leader. Lo and behold our Jim is now in the Shadow Cabinet and has no doubt been a strong supporter of Ed Miliband all his life. Would Murphy and McIntosh support the Jewish community if it wasn’t in their own political interests? I very much doubt it. What is wrong with you lot? This is the same McIntosh that thinks it wise to cosy up to the Scottish Friends of Israel. For those in the dark that is a horrible organization that distributed material that broke all the rules of decency. They indulged in some of the worst excesses of stereotyping minorities and became a pariah organization within the community. Mackintosh had no problems associating himself with Scottish Friends of Israel (SFI) and wrongfully attacking the First Minister is not going to trouble his conscience one iota. Europe within his constituency, just north of Newton Mearns. Can anyone tell me what he has achieved, and I mean real notable achievements, since being elected? McIntosh is not very bright!!! As an MSP I would have thought he would understand the basic concepts of devolution. It is not the purpose of the Scottish Parliament to merely replicate Westminster and the fact is that antisemitism in Scotland nowhere near the same level as in England. He is clearly not doing any of this in the best interests of his constituents. I find it astonishing that he is prepared to talk about security issues to a newspaper and it is time that he shut up before he could actually harm the interests of the Jewish community. 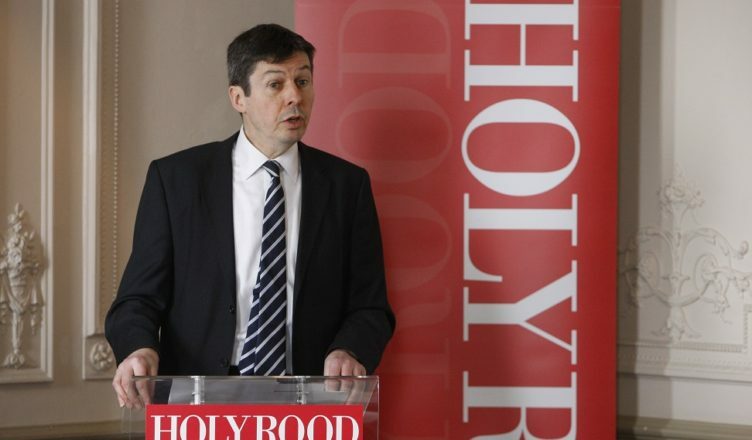 Inviting controversy, Presiding Officer Ken Macintosh invited the Israeli Ambassador Mark Regev to visit Holyrood as his honoured guest. The Scottish Palestine Solidarity Campaign (SPSC) and the Association of Palestinian Communities in Scotland (APCS) said they would protest outside parliament, at the time of the visit which was at odds with Holyrood’s diplomatic policy in regards to Israeli oppression of Palestinians. 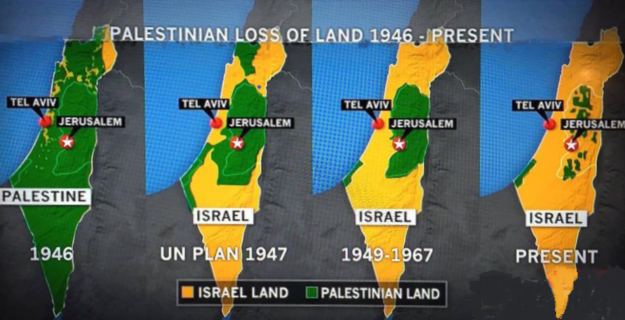 The Labour Party had, for 100 years supported the growth of Israel . A policy ended by the election to Party Leader of Jeremy Corbyn, who, together with many Trade Unions backed the Palestine Solidarity Campaign (PSC). With Corbyns backing the Labour Party endorses the principles of the: Boycott, Divestment, and Sanctions Movement; (BDS) which is beginning to impact on Israeli exports. The perceptions of the Scottish public towards the Israeli government and its policies are becoming increasingly negative and the Ambassador was instructed to use his political office to counter the Palestinian successes. For many years, as the Eastwood MSP, McIntosh developed, maintained and exploited a network of very close links with Israeli politicians which made him an ideal conduit to convey good news about Israel offsetting the impact of (BDS). “McIntosh, MSP in East Renfrewshire, was appointed Labour spokesman on Communities and Social Justice. Filling this specific position with a vocal supporter of a Jewish supremacist state built on the ethnic cleansing of the native Palestinian population is scandalous. The Palestinian community in Scotland can hardly address their concerns to McIntosh with any confidence, to a man who shares, or claims to share, Israel’s view of the world. An open advocate for a state that systematically discriminates against its Muslim and Christian citizens is now Labour spokesman for Communities and Social Justice. A further sinister aspect of McIntosh’ appointment is that the Labour spokesman for Communities and Social Justice has a history of dishonestly smearing supporters of Palestinian rights as “anti-semitic”, i.e. racist. This goes beyond the common Zionist intellectual dishonesty in claiming a surge in “anti-semitism” in the only country in Europe that has no history of state persecution of Jews. 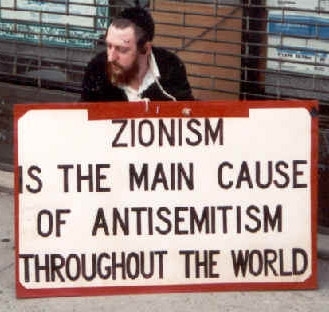 The slightest acquaintance with the theory and practice of Zionist organizations world-wide suggests great caution in evaluating Zionist claims of antisemitism. After all, this movement claims that antisemitism is always widespread, ineradicable, something to be accepted since Herzl, and even welcomed as an incentive for Jews to leave their homes and emigrate to Palestine (after 1948 to Israel). But McIntosh doesn’t only repeat the Zionist mantra that support for Palestine – even flying a Palestinian flag – generates antisemitism. On at least one occasion, an excess of zeal led McIntosh to apparently invent a racist campaign against Scottish Jews. The April 30th 2010 edition of the Jewish Telegraph provided space for McIntosh to announce that SPSC members “target Jewish people living here in Scotland because of their own blinkered hostility to Israel”. This was based on a claim that he had seen an anti-Semitic leaflet calling for a boycott of kosher food in the Giffnock branch of Morrisons. His claim of a hate crime against Scottish Jews by Palestine human rights advocates was totally unfounded and according to a senior police officer some months later: “Police enquiries established that no offence had been committed.” Contrary to what McIntosh had alleged. McIntosh declined to discuss the matter further when challenged by one of his constituents. He lost any interest in the matter and cavalierly wrote to a constituent who asked him about such a serious matter that “I cannot find the original email”. McIntosh’s outrage had quickly evaporated at what would have been – if real – a clear example of hate crime against his Jewish constituents. If he really believed that he had seen an antisemitic leaflet calling for a boycott of kosher food, then it was his clear duty to share that evidence with the police. His inability to do so lends extra weight to the suspicions of the Glasgow Jewish Educational Forum’s Jeremy Stein who wondered whether McIntosh was motivated primarily by the hope of “electoral advantage” in his zeal for ferreting out antisemitic, both real and imagined. The aftermath of the 2010, murders of over 1,400 Palestinians in which Palestinian civilian areas were used as a testing ground for the development of its military hardware, brought worldwide condemnation of Israel. But not McIntosh, who was the sole sponsor of a grotesque exhibition, celebrating Israeli technology at Holyrood, which was met with protests. The same year, he falsely accused the (SPSC) of targeting Scotland’s Jewish community in its opposition to Israel, claiming to have seen antisemitic leaflets calling for a boycott of kosher food in his constituency. When it was suggested to Macintosh that he ought to contact the police, it became clear that what Macintosh had actually seen was a sticker bearing the slogan ‘Free Palestine, Boycott Israel’. Glasgow Jewish Educational Forum Chair Jeremy Stein speculated that Macintosh was motivated primarily by the hope of ‘electoral advantage’ in his botched attempt to confront antisemitic, rather than any anti-racist imperative. the pro-Israel lobby in Scotland has been invigorated. The SNP too became a target, although this effort was setback when Sammy Stein, a new SNP member who organized a pro-Israel stall at the SNP’s Autumn Conference, was disciplined by the Party for campaigning against pro-Palestine SNP MSP Sandra White in the 2016 Holyrood election. It is clear that the overwhelming bulk of public sentiment in Scotland remains sympathetic to the Palestinian cause. Check out the global resonance of Celtic fans’ display of solidarity during their Champions League match against Hapoel Be’er Sheva last year, and the £176,000 raised for organisations in Palestine is its aftermath. When activists gather outside Holyrood in opposition to Mark Regev, they do so not just in narrow opposition to his visit but to express a deeply-held solidarity which runs counter to a British state which this year will celebrate the centenary of its complicity in Zionist colonization in Palestine. Nicola Sturgeon’s attempt to force Theresa May’s hand in a row over devolved powers after Brexit has been dealt a blow after a flagship bill was ruled outside the remit of the Scottish Parliament. Ken Mcintosh, Holyrood’s presiding officer, said the European Union (Legal Continuity) (Scotland) Bill was not within the Scottish Parliament’s competence. The bill, which is meant to be the SNP’s alternative to the UK Government’s EU Withdrawal Bill, has been brought forward amid a furious row about what happens to powers being returned to the UK after Brexit. But the claim is at odds with the company accounts which show that 170 individuals gave just over £650,000 to the Unionist group between 2015 and mid-2017.